Uncode is a pixel perfect creative multiuse WordPress Theme packed with 20+ unique designed concept homepages with terrific attention to details. 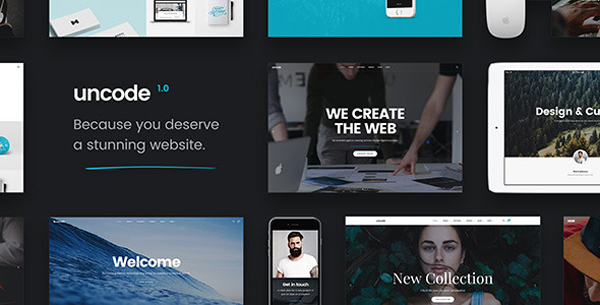 With exclusive features empower designers to create top websites without any code experience. WordPress and powered Visual Composer take the building of a website to a whole new level. You can create endless layout with drag n’ drop page builder and an innovative set of amazing features that you’ll love.